Discover the difference with Fusion Mineral Paint! We are just loving the new colours from the Fusion Classic range and the Michael Penney Designer Collection! Midnight Blue, Bayberry, Cranberry, Raw Silk, Mustard, Plaster and Tuscan Orange are all new arrivals. Such rich full colours to compliment neutral backgrounds and add a pop of colour to those special areas in your home! The amazing Fusion Mineral Paint has taken off in popularity due to its easy application, gorgeous finish and durability! We love it! Jennylyn Pringle at Fusion Mineral Paint wanted to develop a paint that was TRULY zero VOC and non-toxic. Through years of development she achieved this without sacrificing quality. Fusion is a best-in-class paint that features an environmentally friendly and health conscious formulation! We all love to paint in our homes but babies and young children are susceptible to the health risks associated with VOC's. Fusion Mineral Paint solves this problem by being lead free, phlalate free, formaldehyde free, ammonia free, virtually odourless and is Zero VOC meaning it is safe for you to use indoors with children around! Fusion cares about you and your family. The Tones for Tots collection complies with both the lead and phlalate restrictions of the Toy Safety Standards of North America and Europe, as well as the ASTM D4236 LHAMA safety labeling requirements. 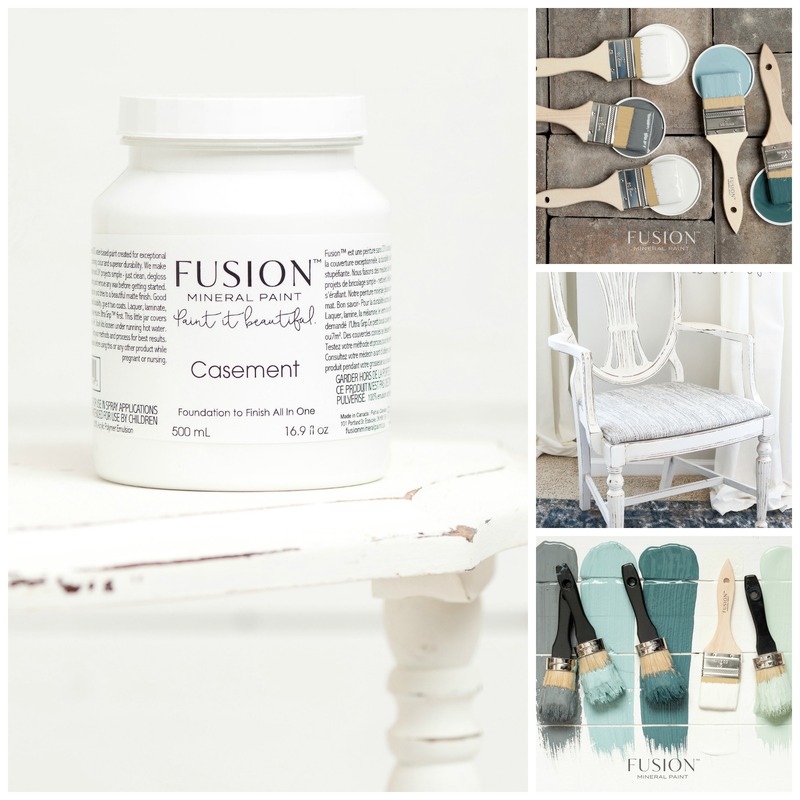 Check out your local retailer or favourite online retailer here to try Fusion's gorgeous colours. We know you won't be disappointed! Easy to apply and self-leveling, Fusion™ requires minimal prep work, no finishing coat, waxing or on-going maintenance! Fusion™ is not your average paint that you buy at the hardware store. Each and every ingredient in our formulation is carefully selected, evaluated and tested to the strictest quality control measures to ensure a superior performing paint. Each batch goes through rigorous quality control ensuring that the paint will not separate or harden in the container for 7 years. This is achieved by using only the best available ingredients on the market. Fusion's formulation is 100% unique, formulated from the ground up. A Milk Paint finish is unique and can range from a solid colour to a stain, it all depends on how much water you add! It can be used on any porous surface without a primer. It will never chip or peel on porous surfaces as it soaks in and binds with the substrate. Miss Mustard Seed Milk Paint is special because the super fine components blend and absorb better than any other milk paint on the market and the beautiful natural oxides that give it its unique vintage colours, chosen by Miss Mustard Seed herself, are exceptional! 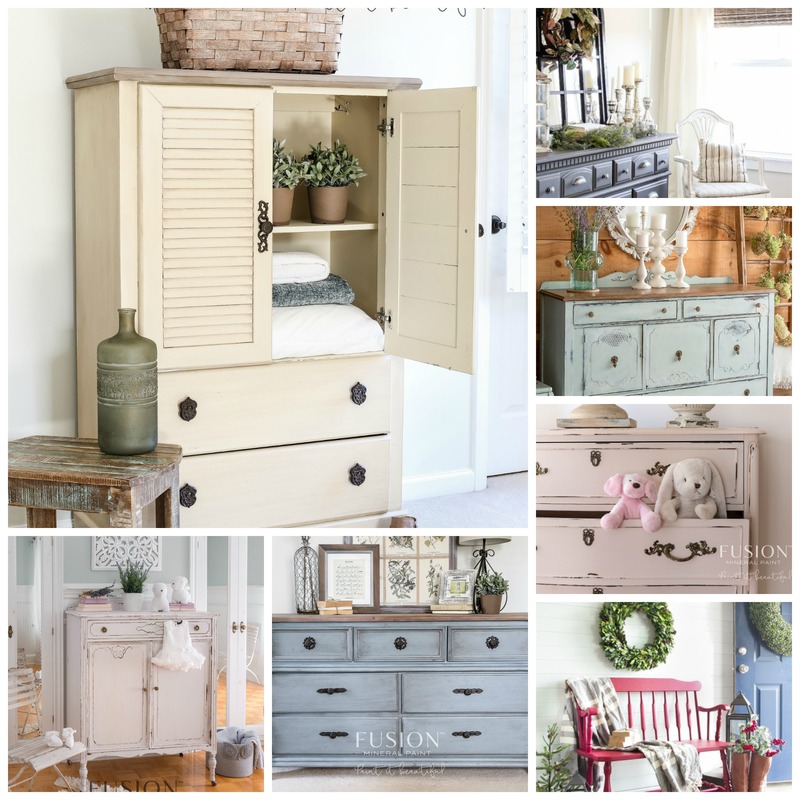 For a truly unique finish on that feature furniture piece in your home you can't go past Miss Mustard Seed's Milk Paint.